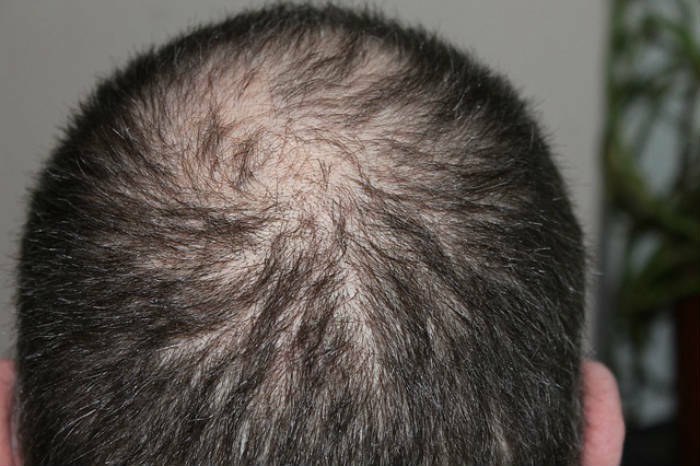 Today you will learn about the 12 Worst Foods that contribute to Hair Loss! No person in the world wouldn’t appreciate having long, healthy, and stylish hair. Having beautiful long hair full of bounce helps people to feel good about themselves. It is unfortunate that not all people have healthy hair. There are various reasons that can be attributed to hair loss. This includes our diet, chemicals in hair care products and genetic disorders. However, just because you inherited the genetic tendency doesn’t mean that there is nothing you can do about hair loss. Thanks to the beauty of science, scientist and medical researchers have come up with various solutions that help to grow healthy and beautiful hair. Some of the solution that helps to keep hair loss at bay includes use of milder hair treatment, proper grooming, diet, use of essential oils and avoiding high heat equipment for styling hair. However, today we are going to discuss how diet can contribute to loss of hair. When it comes to nutrition, moderation is key. Although there various foods that provide us with the right nutrients to fight hair loss, there are also foods that contribute to hair loss. These foods usually rob the body of the vital nutrient that is essential for healthy hair growth. Below is a list of food types to avoid or use less often. Let’s us begin by something most people love, fried foods. Although this food is associated with excessive weight gain, research also shows that limiting consumption of fried foods also lessens hair loss. For healthy hair growth, you should avoid consuming food with high fat and hydrogenated fats. We have many scientific studies that link saturated and monounsaturated fat to increase testosterone levels. The increase of testosterone contributes to elevated level of DHT(1), which is a by-product that leads to hair loss. On the other hand, the hydrogenated oils are thought to affect the growth of hair by suppressing the fatty acids that are essential for healthy hair. Similarly high fat can also contribute to other health issues including obesity, coronary disease, as well as diabetes. Refined carbohydrates such as biscuits, cakes and other foods made of white flour that is high in sugar and low fiber affect hair growth. Usually, the nutrients that you ingest from these foods are redirected to assist in facilitating the digestion of the food itself. This means that these nutrients do not help your body in any way. These foods are also known to limit the natural body stress-busting function, and this may contribute to hair loss. Instead of consuming these foods, you should replace them with complex carbohydrates that have high fiber content. These include foods such as bananas, beans, and wholemeal floor. These foods play a major role in enhancing your digestive system, which allows the body to deliver the essential nutrients to the hair follicles effectively. There is an ever-growing demand for more natural an organic foods, and this is a good thing. Some of the food additives such as caramel color, which is processed, with caustic chemicals such as ammonia or sulphites, also contribute to hair loss. Research also indicates that even some natural additives lead to hair loss. For instance, we have the carmine dye of cochineal extract, which is a color additive that is extracted from dried bugs(2). This color additive is common in sweet, drinks and yogurt. Research suggests that although this is a natural additive, it can lead to hair loss as well as other life treating an allergic reaction. For this reason, you should avoid product with food additives. Well, it would be impossible to avoid these foods a hundred percent, but as mentioned, moderation is key. If you are a type of a person who cannot go for a day without taking yogurt, you should limit the intake and treat yourself one or two times a week. Although there is not much research that supports why sugar causes hair loss, researcher think that sugar promotes inflammation which in turn can affect hair growth. Our body responds to sugar by producing high levels of insulin and androgen. Androgen is a male hormone that is known to cause shrinkage of hair follicles(3), accelerating the hair loss. Don’t consume too many sweet and your hair will remain healthy. Besides, your teeth will remain healthy too! Medical experts and medical professionals also warn consuming foods that contain large amounts of certain types of fish as they can contribute to hair loss. Consuming fish that has a high concentration of mercury increase the mercury level in our body. This causes thinning of hair making it susceptible to break. Some of the fish that you should avoid includes the King mackerel, swordfish, tune tilefish, marlin, as well as a shark(4). Did you know that drinking too much alcohol and caffeine could also contribute to hair loss? Currently, no study has explained why excess alcohol leads to hair loss, but many medical experts state that heavy drinking is a contributing factor to hair loss. According to University of Maryland Medical Center avoiding stimulants such as alcohol, caffeine and tobacco may help to reduce the hair loss. Some researchers suggest excess consumption of the stimulants can inhibit the ability of hair absorbing zinc and other minerals that are crucial for healthy hair growth. Other researches think that heavy consumption of alcohol and smoking tobacco promotes dehydration, which in turns leads to hair loss. Research also shows that foods with high glycemic index(5) also accelerate hair loss. The glycemic index indicates how fast carbohydrates changes into sugar inside the body. Food that has high levels of starch and refined sugars such as potatoes, white bread, pasta, white rice and baked foods usually have high glycemic index. This makes them have the similar effects of excess sugar in the body. Remember high sugar leads to shrinking or the hair follicles, which leads to hair loss. Next, we have foods that have high levels of selenium(6). So exactly what is selenium? Well, Selenium is micronutrient that is needed by your body but only in small amount. According to the National Institutes of Health, your body requires about 55 micrograms per day. Selenosis, which simply means too much of selenium in food has been linked to hair loss. Some of the foods that contain a high amount of selenium includes Brazil nuts, which contains up to 544 micrograms in one once. Other foods with high selenium include oysters, whole wheat bread, sunflower seeds, tuna, and all meats (lamb, beef pork, chicken, and turkey). Vitamin A is a fat-soluble vitamin and very powerful antioxidants. This vitamin plays a critical in our bodies such as maintaining healthy vision, healthy skin, and neurological function. Besides this is a powerful antioxidant that fights free radical damage. Despite the very many benefits that come with this vitamin, high level in the body is associated with hair loss. Dieticians state that the vitamin A that is usually contained in a multivitamin doesn’t have a lot of negative effect on the hair growth. However, taking vitamin A in a supplement can increase hair loss. 10. Aspartame Causes Hair Loss? Aspartame is an artificial supplement, which has faced a lot of controversy in recent years. Many scientists claim that its long-term repercussion includes hair thinning, loss of hair as well as other health issues. Aspartame is commonly used in diet sodas and other diet foods. It is unfortunate that there were no studies that link it to hair loss but with the number of scientists claiming it to be bad for hair growth, it is better to avoid it(7). It is a no-brainer that a poor diet can affect the healthy growing hair. This is because the hair will not get the necessary ingredients that assist in proper growth. However, there are things that we add to our diet that worsen the situation. For instance, we know the importance of salt to our diet, but did you know that sprinkling it on your food is an absolute vice for hair growth. Consumption of excess sodium has been shown to accelerate hair shedding. For proper hair growth, you should limit the salt intake to 1 teaspoon a day. If your aged 51 or older or have a chronic disease, diabetes or high blood pressure, you should limit it further. In addition, it is not just the table salt that you need to be concerned about. Most of the processed and prepared food usually has sodium so you should look at the nutritional labels before purchasing any processed food. Lastly, although sprinkling salt makes food delicious, you should sprinkle with caution to keep your hair full of body. When trying to avoid foods that have high sugar levels, it is tempting to opt for the sugar-free diet. However, doctors say that this is not a great alternative, as they tend to cause the same destruction to your hair as those with high levels of sugar. According to the FDA, artificial sugars can create conditions such as hair thinning which is a number one cause of hair loss. Besides this, the artificial sweeteners cause other unpleasant symptoms including impotence, bloating, arthritis, depression, as well as sexual problems. Hair loss and diet is associated with one another. While we have various foods that assist you to recover from hair loss by providing your body with the necessary ingredients, it is evident that many other foods contribute to this condition. We cannot refute the fact that poor diet is a primary cause of hair loss since the hair is not getting the vital nutrients for healthy growth. However, as we can see there are many foods that we consider healthy that can contribute to hair loss. We understand it can be hard to balance since some of the foods listed above has other health benefits, and doctors advise you to take plenty. However, moderation is key when it comes to keeping your body healthy. That is why doctors insist on a healthy and balanced diet. From the word balanced diet, it means regulation, not taking too much of something since it has numerous benefits for the body. It is also worth to note that improving your nutrition alone will not prevent hair loss entirely unless the loss is directly related to nutrition deficiencies. For this reason, you should look for other ways to keep your hair healthy and avoid shedding. As mentioned, many other things contribute to hair loss. These include things such as stress, pollutions, harsh chemical use, and even aging. If you have reduced the consumption of the foods, we have listed above, and find that you’re nothing changes, it is advisable to consult a medical professional. Doing this will help them to pinpoint the reason for your hair loss. However, for the time being, you should follow our guide and make sure your diet contains enough iron, protein, and zinc, as they are essential for hair growth process. I hope you found ” Foods that Cause Hair Loss ” informative!